Regardless of how 2014 treated you, it's time to put last year in the books and start moving forward. The new year is always a time for reflection, and January often finds top CEOs and managers thinking about ways they can improve work productivity. Some methods and techniques that worked last year will surely carry over to 2015, but others should be left in the past. 2015 is here, and it's time to think about what's next for work productivity. Put these ideas into action, and you'll be ready to take on the new year with confidence. No matter how many years pass, people always find themselves going into January with an overwhelming amount of thoughts, ideas, and plans. This can include personal goals (quitting smoking, losing weight), as well as professional goals. Perhaps you're looking to increase employee engagement or improve ROI — you'll never get any of it done if you don't get things written down and planned out. A "brain release" requires you to get all of these ideas and concerns out of your head and in written form, which will give you the structure and clarity you need to actually move forward and increase productivity. Set aside an entire day for this. It may seem like a lot of time, but the more you can outline what the year should look like, the more likely it is that you'll actually achieve those goals. It can be incredibly difficult to measure your progress throughout the year if you don't first set a number of concrete goals for your organization. Goals are everything. They give you a set of metrics that will help determine your progress and efficiency. Setting goals as early in the year as possible is crucial. When setting goals for your organization, don't just take 2015 into consideration. You've got to think about where you'd like to be in the coming years as well. If you're not sure, consider brainstorming until you can come up with a well-designed plan. The more concrete your goals are, the easier it will be to measure progress as the years pass. It may seem counterintuitive, but many professionals find they're able to get more done throughout the day when they have a little bit of background entertainment while they work. This is highly personal, as everyone has their own unique way of getting things done effectively. Many people don't realize how much they might benefit from throwing on some music or even letting the TV run in the background. It's always worth experimenting with different ways to stimulate your mind and improve productivity. The goal with utilizing background entertainment is to keep your mind from veering off in many different directions. Instrumental music with a driving pulse is ideal for keeping people focused and on track. Be careful not to overdo it, though, as this can actually end up pulling you away from the work you're attempting to get done. Find what works for you. Time is everything in business, and many professionals believe that every hour during the workday should be devoted to something specific. Time tracking is a discipline that many people don't do very well ... because it is hard. In the past, time tracking could be quite difficult and often relied on pen and paper and a sharp memory. Today, however, there's barely an excuse for anyone to let tracking time suffer. Anyone who handles a smartphone on a daily basis has within their pocket an excellent time tracking device, as there are plenty of free apps available for both Android and iOS platforms. Even better, those who are logged into a social intranet often have access to time tracking features right within the system. This helps to keep everything in its right place. No matter how you've approached tracking time in the past, this is the year to truly pay attention and get things right. When you're running a company, it can sometimes feel as if you need to handle everything yourself. Unfortunately, this approach will lead to burnout in short order. Trying to take on the world without the help of managers and employees is not only a poor use of resources, but it will surely lead to problems and should be avoided. Think about why you hired your employees in the first place. They're great at what they do, happy to help with projects, and are highly engaged in their work — why not delegate tasks to them? When you free up the amount of tasks you have to worry about each week, life becomes far less stressful. Have you ever noticed that productivity tends to fall as the day progresses? If this applies to you, you can rest assured that you're not alone. 2pm can be a difficult time to stay focused and clear-headed for many people, and reduced productivity can easily result if you're not careful. Usually, this is because you are tired. And how do you solve the tired problem? Sleep. So take a nap. Secrets don't do any favors for anyone. 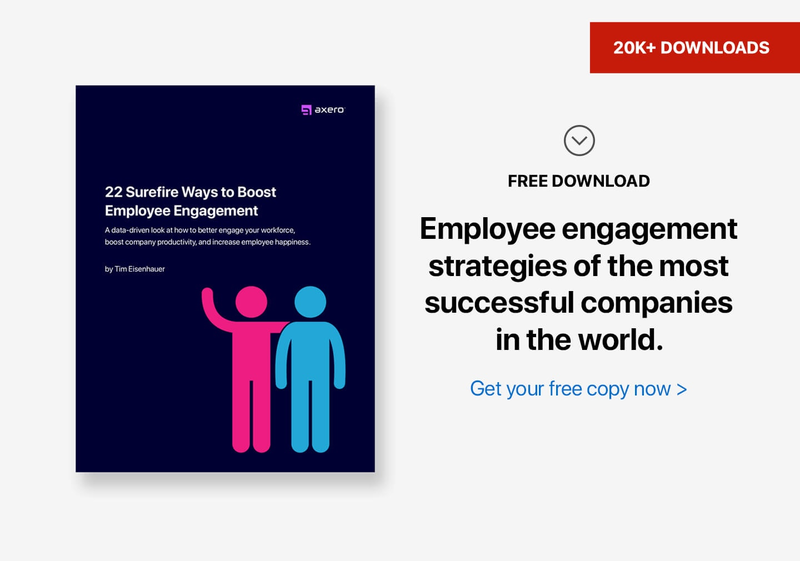 Your employees want to know what's going on within your organization, and if they feel they're being elluded, engagement rates are bound to fall. Being duped is one of the worst feelings out there, and if it's ever happened to you in a business setting, you know all too well how important transparency is. The thing is, being a transparent boss doesn't have to be difficult at all. If an employee has a question for you, answer it with honesty. For example, don't sugarcoat that you might not be in the position to offer a raise if asked. If you're not being open and honest, scenarios like this can come back to cause problems in the future. Whether held virtually or in person, meetings are essential to the vast majority of modern businesses. Pay close attention to how much time you're delegating for meetings each week, however, and you may find that they're cutting into your productivity to a large extent. Meetings aren't meant to last for hours; they should be short and concise. If this is something you have a hard time relating to, now's the time to switch things up and stop wasting both your time and that of your employees. In most cases, a meeting should only last for 30 minutes at most. There will certainly be scenarios where you'll need more time than this, but these shouldn't occur on a regular basis. Many meetings can be completed in less than 30 minutes, which can be beneficial in a number of ways. When it comes to work productivity, long, unnecessary meetings should be avoided at all costs. For quite a while now, email has been considered the gold standard for virtual communication by many in the professional world. This being said, email is certainly not a perfect vehicle for handling discussions, as confusion and miscommunication can often result when someone's inbox is filled to the brim. Relying on email in 2015 as the only tool for communicating via the web is not a wise decision, as it's no longer the only method available (and it hasn't been for quite some time). Instead, today's professionals are looking towards the social intranet as being the perfect grounds for communication. Social business software allows colleagues to communicate with each other in a swift, effective manner that is similar to today's most popular social media networks. All discussions are archived so that important information never disappears, and things are laid-out in a much more intuitive manner than email. Social business software is truly the future of online communication. What are you waiting for? 10. Get Your Head Out of the Past. Look to Your Future. Everyone knows how difficult it can be to get out of a routine, but most people can admit that stepping out of their comfort zone has yielded positive results in many aspects of life. The only way to enjoy life and progress as a CEO or manager is to get your head out of the past and think about ways you can move towards the future. Take business communication, for example. If one of your employees suggests that you move towards a social intranet for communication instead of sticking with email, they may very well be onto something. Don't dismiss the idea just because you're used to email and it's worked for you in the past. Going into the future is all about discovering ways to better yourself and your organization, and sometimes you need to dive into new territory. 11. Manage Your Email Subscriptions. Trim the Fat. Subscriptions to email digests and online services can help streamline your workday, as everything is delivered to your inbox, smartphone, or computert. As with alerts, however, too many subscriptions can get overwhelming. Managing subscriptions is a huge part of keeping confusion from getting in the way, and it's one of the first things you should do now that we've entered into the new year. Take inventory of what you currently subscribe to, and ask yourself ... Are these actually necessary? Chances are you'll find many of your subscriptions to be, at best, nice additions to the workday. Even these can get in the way of productivity, though, and unnecessary subscriptions should be cut out of the equation altogether. If you keep subscriptions to a minimum and only focus on what you actually use, you'll be on the right track for 2015. Anyone who receives a lot of email throughout the day knows how time-consuming it can be to constantly check messages and craft responses. Quick communication is central to good business practice, so you shouldn't be setting up camp within your email inbox. Checking your mail every ten minutes is a distraction and will take you away from something more important. If you're going to stick to using email as your primary vehicle for communication, it's important to give yourself the space you need to focus on other aspects of the workday. Strive to check your email only a handful of times each day, as moving back and forth will consistently do more harm than good. Being organized may seem like an obvious trait for modern professionals, but it's amazing just how many people go through their daily lives with terrible organizational practices. Ignoring the importance of strong organizational skills can be enough to derail a person's workweek. Once you recognize them, it may even be too late. Get organized! Learn to make good use of schedules/calendars, clean off your desk, organize your digital files, and do whatever else you feel is necessary. If you can get organized, life will be a whole lot easier. Many project managers have a difficult time recognizing when something is actually finished. Closing-out a project is akin to finishing a painting or wrapping up an album — knowing exactly when to walk away can be exceedingly difficult. As with art, taking things too far can end up ruining your project as a whole, which is why the most successful artists and professionals know that learning when to step away is essential. Understanding when a project or task is actually finished can have dramatic, positive effects on work productivity. You'll not only prevent things from going downhill and straying from your original vision, but you'll save a great deal of time in the process. This is a discipline that seems simple, yet can take quite a lot of willpower to master. Still, stepping away from a task or project at the right moment is a skill that every professional needs to internalize. When prioritizing tasks, people generally list the most important things first, leaving other needs to be dealt with later. This seems like an effective route to take at face value, but it often becomes clear that certain tasks are being left out. Even if something isn't a top priority, this doesn't mean it isn't deserving of your time. Understanding how to hit a number of different priorities each day is the solution, and it doesn't have to be difficult. If you're prioritizing tasks, you're likely already grouping them in terms of importance — low, medium, and high. This doesn't mean you should only focus on the highly-important tasks on your list, as this leaves the "mediums" and "lows" to get ignored. Instead, attempt to tackle at least one task from each category in a given day, as this will ensure that you're covering all ends of the spectrum. 16. Coach and Mentor Your Staff. Cut out the Micromanagement. For some reason, a lot of managers and CEOs expect their employees to know everything they know without any coaching or training. Contrary to what you might think, your employees aren't mind readers. They need nurturing in order to get on the same level as you knowledge-wise, and this is key to developing a staff that will help take your business to the next level. Taking the time to share knowledge and insight with your staff is one of the most important things you can do if you're trying to improve productivity this year. This can cut down on mistakes, questions, and unnecessary time-wasting elements that can get in the way of a successful workweek. Once your staff is trained, they can help to onboard new employees. 17. Put a Blog on Your Website. Jot Down Your Thoughts. Blogging is one of the most important things a company can do to increase its visibility. If you've paid any attention to how effective content marketing has proven to be over the course of the past few years, you likely know that the benefits of blogging will only increase over time. While there are a variety of different ways to place blogs (guest blogging, for example) posting straight to your website is a great way to start. Blogging regularly on your own website helps to improve your inbound marketing efforts and build a wider audience for your company. Hiring someone to write your posts and craft a unique voice for your organization is a great route to take, as consistency is key with blogging. If you can create benchmark content, you'll be one step closer to the goals you're trying to achieve. 18. Learn to Say "No"
Chances are you've got a few new years resolutions you're trying to stick to, and hopefully it's going well. One thing that almost everyone could benefit from putting on their list of resolutions is learning how to say "no." It may seem simple, but it's something that just about everyone struggles with in one way or another. Even if you're just trying to make everyone happy, you're likely doing yourself a disservice if you say "yes" to absolutely every request made of you. If you've already got too much on your plate, learning how to decline someone's request is the only way to avoid problems that might be difficult to fix. It can be challenging at first, but it's important to remember that saying "no" is an essential part of self-care. You can't help others unless you first help yourself, which is why no one wins when you bite off more than you can chew. Make 2015 the year in which this bad habit is put to rest. A to-do list can truly come in handy if you make good use of it, but how many people actually do? Pen and paper to-do lists are great in theory, except for the fact that most people fail to follow-up on the things they write down. This may be the result of a number of different things, but it's most likely because pen and paper lists are going the way of the dinosaur. There are many different apps available that can serve as virtual to-do lists. Implementing one of these apps can help increase work productivity and decrease the chances that you might overlook something important. Every piece of software that places focus on task management behaves differently, so be sure to experiment with a few options before settling on one in particular. 20. Stop Being So Indecisive. Make a Choice. Indecision is something that plagues a lot of people in the professional world. Everyone has so much going on that deciding what to do in certain situations can be easier said than done. Indecision will get you nowhere, though, and the sooner you can put it to rest, the more you'll get done in 2015. You've got to go into every project or task with a strong sense of confidence. When you know exactly what needs to get done and how you're going to approach it, issues associated with indecision go away. Pay close attention to the details, and making the right decision should never be too difficult a task. A lot of people don't realize just how much of an impact the hardware they use on a daily basis can have on overall productivity. If you're constantly dealing with crashes, slowdowns, and other forms of hardware-related headaches, how can you expect to get things done effectively? Perhaps you spent a good chunk of last year managing issues with your computer or smartphone or are simply trying to improve things even further — upgrading your hardware is the answer either way. You can spend way too much money on hardware if you're not careful, and it's often not necessary. Instead, try to equip both you and your employees (if applicable) with a snappy, responsive mobile device and a capable laptop. While there are plenty of additional types of hardware that you can incorporate into your daily work scheme, these two pieces are the only ones that can be considered truly essential. Working with better hardware not only takes a lot of little frustrations out of the equation, but it will help you and your staff get a lot more done in a week's time. Working independently can certainly come along with some benefits. Solo work can be focused and well-directed, but it's always the best route to take. Sometimes, you'll benefit from working on a project or task with others, which is where the beauty of collaboration comes into play. While you never want to have too many people hovering over a single task, a little bit of help can go a long way. When you try to tackle every aspect of a project without the help of others, you set yourself up for potential disaster. If you're able to hand things off when needed, though, stress begins to dissipate. Add to this the fact that the best ideas and solutions typically come from discussion and brainstorming with others, and it becomes clear why collaboration is so effective. Alerts can be ideal for helping you keep track of what's going on in your life, and they're what sets today's world apart from that of ten years ago. While people have always used alerts in some form to help them manage responsibilities, it's a fairly recent thing that alerts follow us around via computers and cell phones. As with anything else, alerts can be overwhelming when they're constantly going off, which is why it's important to reevaluate the relationship you have with them. The key to getting the most out of alerts is to limit how much you utilize them. If your phone is going off all day long, the impact will inevitably get lost. Try to limit alerts to those which are extremely important. There's a difference between being alerted of a meeting you need to attend and having your phone go off when you're supposed to get up and stretch. Fewer alerts means higher effectiveness. When you're staring in the eyes of the competition, you can easily get caught up in what they're doing differently. Many managers and CEOs intrinsically feel as if it's their job to "win" when up against another company, but this is a poor attitude to take. There's never a need to follow in the footsteps of another business, as you should be focusing on doing something completely unique and groundbreaking yourself. There's nothing wrong with checking out the work of your competitors, but this should be the extent of it. You can use their work to come up with inspiration and ideas of your own. Keep in mind that there's nothing more important than maintaining a strong sense of identity for your organization, and if you overstep the boundary, you may lose sight of what you're working towards. Many of today's most productive professionals look to multitasking as a way of getting more done within a week's time, and for good reason. Learning how to handle a number of different responsibilities at the same time can actually get you quite a bit of mileage no matter what your daily workload might look like. The important thing to recognize here, though, is that just because you're multitasking doesn't mean you're necessarily doing so in an effective manner. In order for multitasking to actually work for you, it's essential to remember that "single-tasking" still matters more than anything else. You may be trying to tackle two or three tasks at once, but you'll get nowhere if you don't approach each one with focus and direction. This is the only way to avoid information overload, burnout, and everything else associated with trying to handle a number of different tasks at the same time. It's common for people to use the new year as an excuse for pushing themselves too hard. You may feel like it's time to turn the afterburners on, but at what cost? Attempting to be productive beyond your actual abilities is one of the worst ways to go about the work week, and you'll start feeling it before we even make it into the second quarter of the year. Clearly, it's important to put forth some protective measures so that this doesn't happen. Many people find that planning out each hour of their day is the best way to stay on track, and if this works for you, you'll have the luxury of being able to set aside time to not be productive. This is time meant specifically for recharging your batteries and letting the mind rest periodically. An overworked brain is not one that will be responsible for great ideas and solutions, and the harder you push yourself, the more likely it is that you'll run into problems. 27. Don't Overlook the Importance of "Mobile"
One of the greatest things about living in the modern era is that technology has made it easier than ever to improve business productivity. When you take a look at mobile technology, it's pretty clear that it has changed everything in business. From the ways in which we communicate to our methods of obtaining information, shopping and paying bills, smartphones and tablets are the way of the future. If you're looking to boost productivity in 2015, ignoring mobile is the worst place to start. You've got to get your staff onboard with using mobile technology if they aren't already, as this will ensure that everyone has access to communication with one another throughout the workweek. The more mobile your business gets, the more prepared you'll be for the future. There's no arguing against the fact that prospects and potential clients are important to the growth of your organization. This being said, it's important to make sure that you're not giving this group the entirety of your attention and leaving other people out. Employees and customers may get overlooked when this happens, and since they're the lifeblood of your organization, you simply can't allow this to happen. When you take care of the people that actually make your business "tick," you're effectively working towards growth and a secure future. You'll always want to give a certain amount of attention to prospects, but take care of your employees and customers first. Throughout the year, there will be plenty of big decisions that need to be made in order for your organization to grow and prosper. A lot of people think that high-level decisions need to be made exclusively by the CEO, but this doesn't always have to be the case. Leaving every decision for the CEO will inevitably cause things to get backed-up, which will prevent progress from being made. Whenever a big decision comes down the pike, it's important to think about how many different ways it can be approached. The CEO can, of course, take things into his or her own hands. A better route is to assemble a team of capable managers and employees who can help to move a decision forward on their own. Collaboration is always a good idea in business, especially when it comes to the decision-making process. Communication is central to practically every success that can be had in business, yet many people simply don't give it the type of credence it deserves. Being a great communicator is the only way to get ahead, and your staff needs to know that they can talk to you about anything that might be on their mind. Learning how to improve communication is a great way to boost productivity in 2015, and it's as easy as paying attention to the way you approach a conversation. The key to being a good business communicator is to be short, thoughtful, and concise in every conversation that you have with managers and employees. Be sure to articulate the details of a project or task in full, as there's no other way for your staff to know that they're doing a good job. Remember that communication can always be improved, so don't settle for less than you can achieve in this aspect of life. At face value, it would seem as if the more you could get done in a day at work, the better. Working from morning through the night would seem to be the best way to succeed at work, but is it really? When you take a look at how this type of routine can affect the rest of your life, it becomes clear that there are better options out there. We work hard so that we can play hard. There's nothing worse than missing some of life's most precious moments just because you feel compelled to work. 2015 is about balance and restructuring, and with this comes the need to look at how many hours you're putting in each day. If it's more than eight, you're due for a change. Everyone manager and CEO wants to run a tight-knit operation, but this doesn't necessarily mean you need to rule with an iron fist. Nobody likes an intolerable boss, and today's professionals just aren't going to put up with it. It's important to view your employees as what they are — full-grown adults. You might think you're getting somewhere by watching their every move, but chances are you're just making them angry. Give every staff member the space that he or she needs. Unless there is reason to assume that something is wrong, your employees are capable individuals who know what they need to be doing. Trying to keep a chain on things by implementing dress codes or making a big deal out of someone showing up late are the worst things you can do for employee engagement, and there's no room for this type of attitude in 2015. Technology is everywhere. If it weren't for modern technology, many businesses would simply crumble. Unfortunately, some people find new technology a bit scary, which is a shame given the benefits that can come along with it. Embracing new technology is the only way to be prepared for the future, and now's the time to start. Your clients and customers want to know that you have the best of intentions for keeping your business at the forefront, and this is where new technology comes into play. Social intranets, improved customer support processes, and anything else that can help to put your company on top are all worth looking into. After all, there's nothing worse than getting stuck in the past. There's absolutely no reason why you shouldn't see a noticeable increase in work productivity this year, but it's important to remember that it's not going to happen on its own. Give yourself that initial push in the right direction, and the rest will take care of itself.